Apparently very limited retail item. The rarity is greater than the added value of the musical content. The term 'extended remix' printed on the label for Big Muff is rather strange as the original One world track lasts 20 seconds longer. 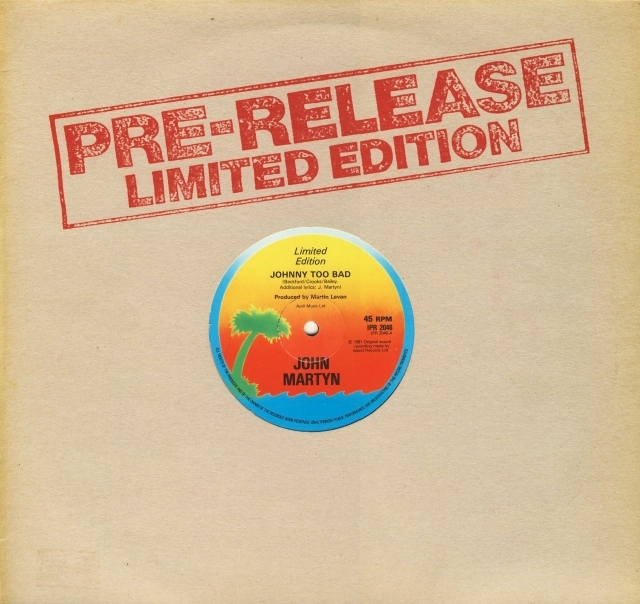 Also the term 'pre-release' is awkward as the original album was already issued six months earlier and there was no follow-up for these dub versions. The dub mix was included as the final bonus track on Grace & Danger Deluxe Edition in February 2007. IPR 2046 A-2U and IPR 2046 B-2U. A-side has inscription: GRAEME - SOUND CLINIC.